Synthwave, a musical subgenre heavily influenced by new wave and soundtracks to films from the ’80s, began to emerge in the ’00s, with artists citing Tangerine Dream, Giorgio Moroder, and John Carpenter as their luminaries. The musical style gained further notoriety in 2011 with the release of Nicolas Winding Refn’s Drive, a neon-noir influenced crime drama featuring a synthwave-influenced score by Cliff Martinez as well as a collaboration (now being used to sell cars) between College and Electric Youth, two of synthwave’s most popular artists. Now a Spanish collective has launched a Kickstarter campaign to fund a documentary on the scene. 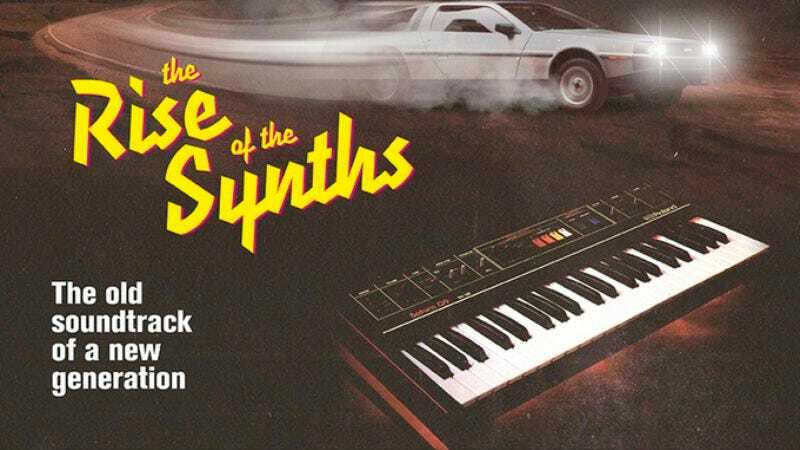 The Rise Of The Synths promises to shed some neon light on “the old soundtrack of a new generation,” delving into “’80s nostalgia, collective memories and electronic music.” The film looks to bring together the modern artists of synthwave scene—which according to the trailer, owes quite a bit to MySpace—as well as chat with its early masters, including Jan Hammer and Brad Fiedel. Looking at the “Narrative Structure” section of the Kickstarter page, the documentary has set some lofty goals, looking to create something that accentuates the themes of synthwave music by mixing neon-noir flourishes with riffs on To Live And Die In L.A. rather than just a bunch of interviews in front of a dull green-screen background. The Rise Of The Synths team wants to combine a character-driven story with a fictional character based on ‘80s anti-heroes such as Cobra’s Mario Cobretti. The projected budget of the film is $339,166 but the Kickstarter is only looking to fund half of the budget. At press time, the documentary has received $30,460 of its $169, 583 goal. The rewards are fairly standard, including posters and VHS editions of the film as well as cassette recordings of the soundtrack. Funding ends June 3.